"Smile, what's the use of crying?" Hmmm... I thought I had posted here already! I had to change my entire Blog as it would not work, kept stalling out and never put up changes I made. 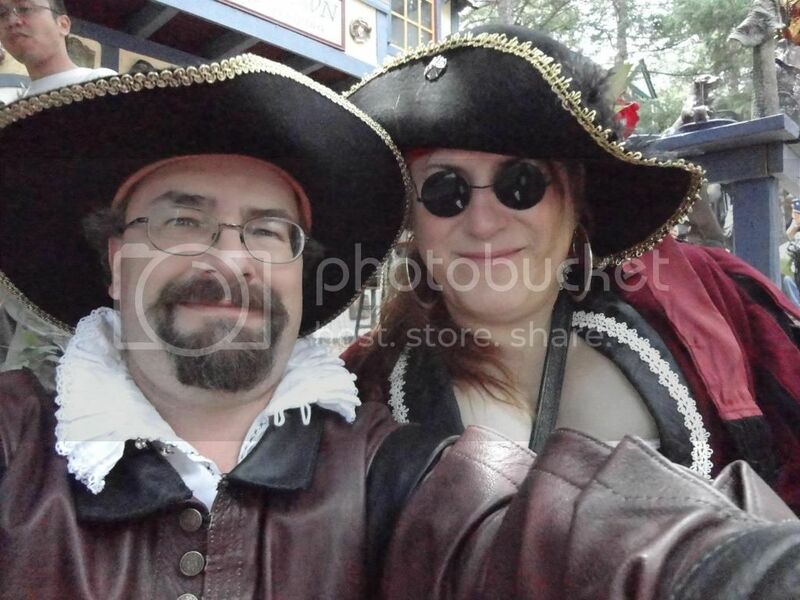 So I made a Blogger to go with my Picasa Web! "Looking Good is not an Option, It is a Necessity"
I am still working on the content and I am trying to get as much as I can that i have photos of into the site so bear with me!! I definitely enjoyed it! But charcoal background with purple text made the letters almost disappear on my screen - they were both so dark I had to mark all text to be able to read it. I don't know if others have this problem? 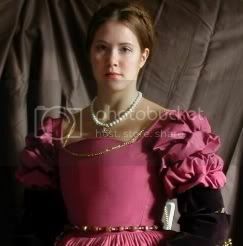 I love the research photos of the French style (Mary, Queen of Scots dress)! Sorry! I was on a lighter background so I was reworking it yesterday, to make it lighter! I hope it will be all done soon, I need to find all of my pictures! 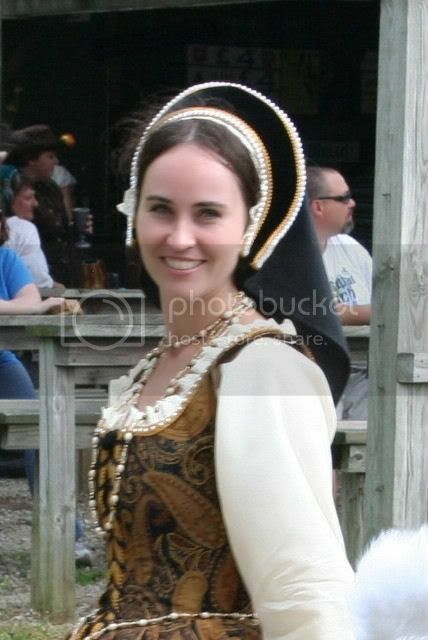 I recently started a blog about renaissance clothing and medieval clothing. I analyze clothing worn at specific times and places. Thanks. I've posted some things on my LiveJournal site in the past, but the project I'm working now is my first attempt at a portrait recreation. So far... It's turning out pretty well. Comments and suggestions are VERY welcome!! The domain name is my homage to a painting at the Smithsonian that I fell in love with. I would be honored to add your links to my blog so I can give readers other, and more experienced insight into garbing than my own. I figured I would ask you ladies instead of just posting them. 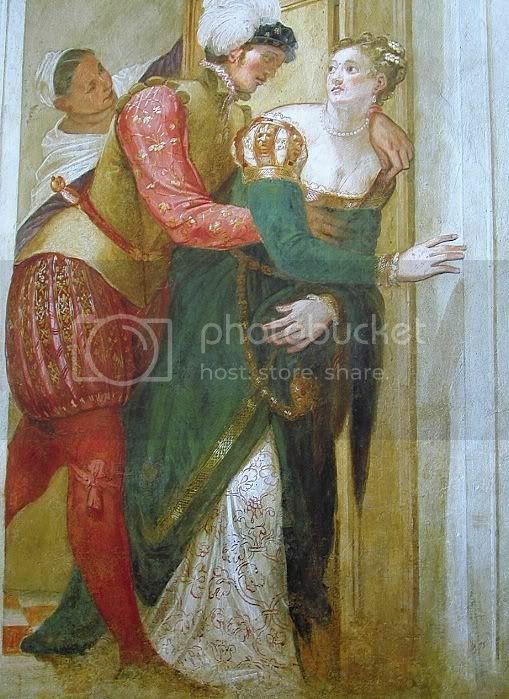 So if you would like me to put your link up on my "Renaissance Dress Diaries"
please feel free to PM me here or visit my diary http://mydressdiary.wordpress.com and leave a comment with your link and I will post it! feel free to add, and follow me! My first post in my sewing/garbing journal is posted at http://jadesews.blogspot.com/ It's mostly my to do list.